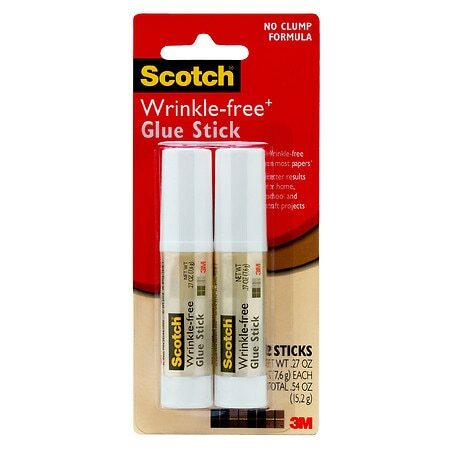 This patent-pending, clear formula eliminates clumping and wrinkling on most papers, giving your project a more professional, wrinkle-free appearance. Get better results for home, school, and craft projects. *Cap size meets regulations to reduce choking hazard in children under 3. Non-toxic and cap size regulations are defined in the Federal Hazardous Substances Act. Conforms to ASTM D4236. **Able to wash out of most fabrics and off of most household surfaces with soap and water. ***Photo-safe determined in accordance with ISO standard 18916.